Home » What is the Best Big Island Botanical Garden? What is the Best Big Island Botanical Garden? One of the most alluring facets of the Hawaiian Islands is the overwhelming amount of vibrant, tropical foliage that you’ll encounter. Stroll along paths lined with rare, exotic plants like nothing you’ve ever seen before at a botanical garden on the Big Island! Shaded by palms and banana trees, identify native flowering plants such as plumeria, hibiscus, bird of paradise, pikake, ohia lehua, and more. Brilliant hues of sunshine yellow, fiery fuschia, and deep purples contrast against lush greenery. Fall in love with the natural beauty of Hawaii, and you’ll understand why locals have so much respect for the land. 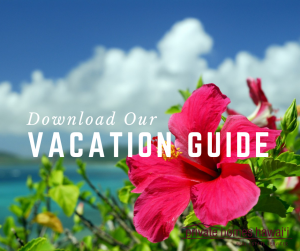 Find more suggestions on where to go and what to see in our comprehensive Vacation Guide! Considered a “museum of living plants,” the Hawaii Tropical Botanical Garden, in Papaikou, boasts miles of trails that twist and turn through a beautiful collection of native flora. With over 2,000 different species that make up 125 biological families, you could spend an entire day wandering through the park identifying flowers, ferns, and trees. 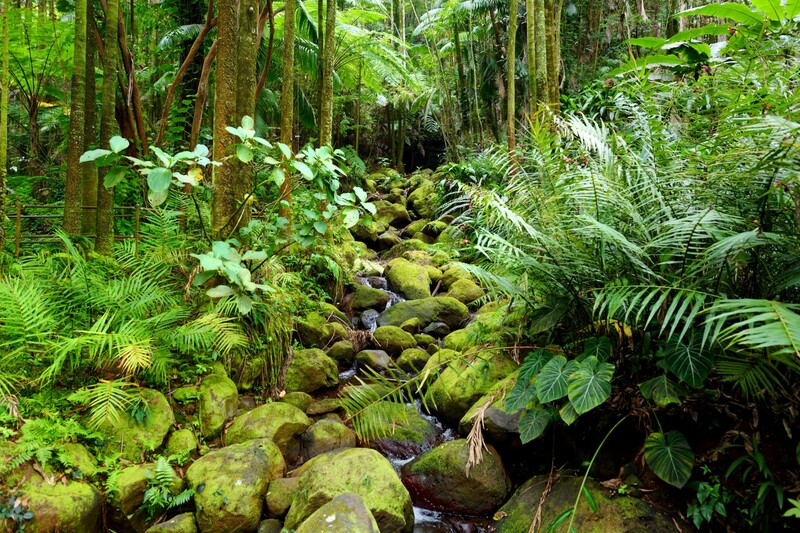 Cross over rushing streams and learn about rainforest vegetation nourished by volcanic soil. You’ll even come across several beautiful waterfalls and scenic stops that allow for unparalleled views of the Pacific. A visit to this magnificent display is one of the best things to do on the Big Island! Discover the off-the-beaten-path treasure that is Sadie Seymour Botanical Garden. The natural aromas of flowers and herbs greet your senses upon arrival. Hike along trails that lead you to glorious gardens and stunning sights. The admission is free, though they do accept donations! 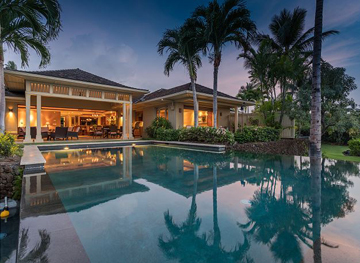 Allow a sense of calm to wash over you as you take in the serene atmosphere of this quiet gem located in Kailua-Kona. Take your wanderings to a new level at Botanical World Adventures! This location allows for more than just a casual stroll. Visitors can embark on various adventures such as ziplining! Soar over cascading waterfalls and towering canopies of lush tropical foliage. You can even take a Segway tour through the gardens. It’s an exciting excursion to add to your itinerary that includes dining at the best restaurants and visiting the best beaches. However you choose to experience this beautiful park, you’re in for a treat! Maybe you’re interested in botany. Perhaps you’re looking to capture some high-quality photos of rare tropical plants to impress your friends. Either way, you don’t want to miss out on visiting a Big Island botanical garden! 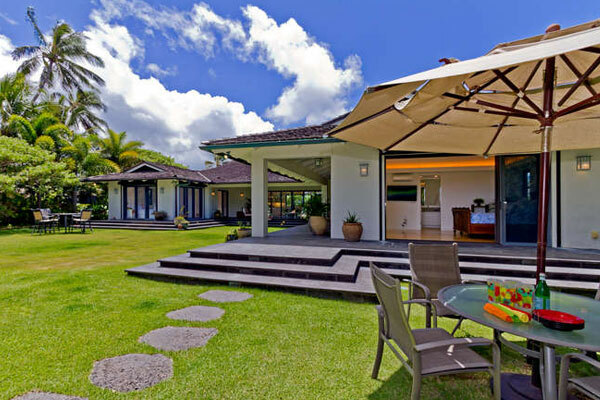 Continue admiring Hawaii’s natural beauty when you choose to stay in a Private Homes Hawaii vacation rental! Step out onto sandy white beaches and take in the panoramic views of the ocean. Revel in the casual elegance that abounds throughout our properties. 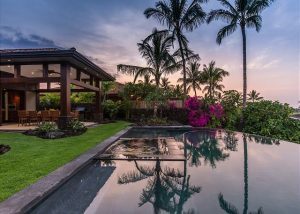 Enjoy Four Seasons Resort access when you stay in our Hualalai Pakui property in Kailua-Kona. What are you waiting for? Paradise awaits. Comments Off on What is the Best Big Island Botanical Garden?